The pyramid of Khafre, son of Cheops is the second tallest pyramid in Egypt. Rising 471 feet it is about 10 feet shorter than the pyramid of his father. 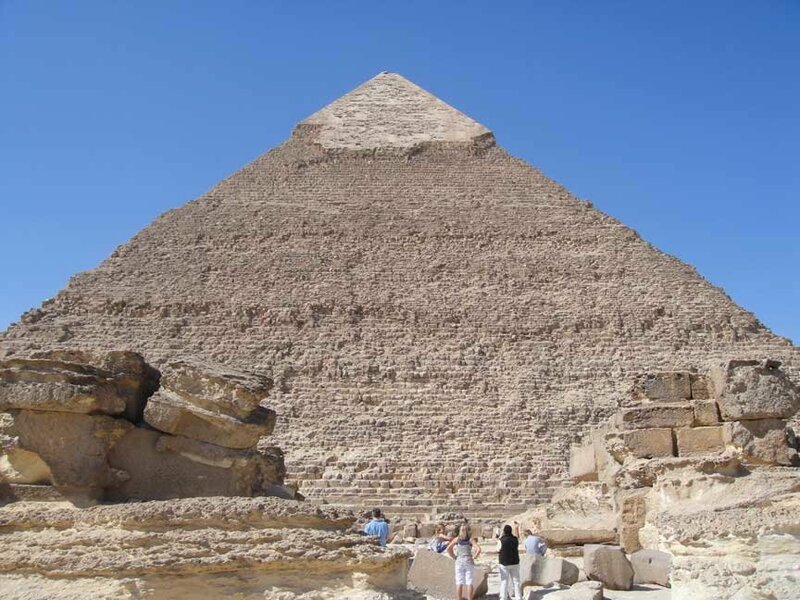 It was built at a 53 degree angle, a nearly 2 degree steeper slope than the Great Pyramid of Cheops. A risky angle considering the Egyptians already knew a 55 degree slope created an unstable building. This is beleived to be what caused the unusual shape of the Bent Pyramid of Khafre’s grandfather, Sneferu. It appears this is the tallest of the pyramids at Giza and is often mistakenly called the Great Pyramid. 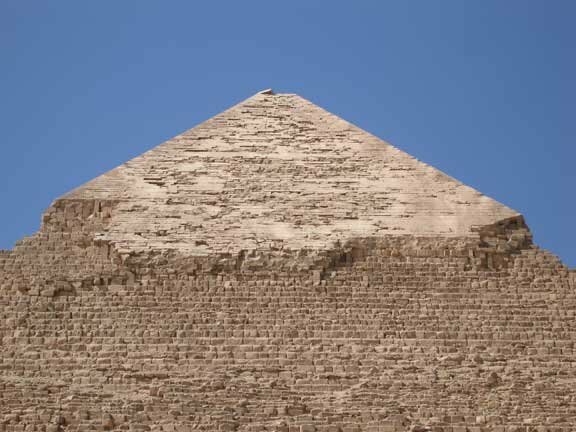 This is because Khafre had it built 33 feet higher up the sloping plain of Giza. It is recognized by it’s outer limestone casing which is still intact around the top of the pyramid. This casing, which covered all the pyramids was smoothed and polished in ancient times.